Halloween is recognized as the 3rd biggest party day after New Year's and Super Bowl Sunday. Halloween is Oct. 31 – the last day of the Celtic calendar. It was originally a pagan holiday honoring the dead. Want to see a witch? 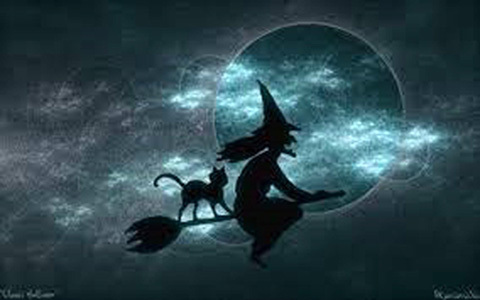 According to an old folk tradition, you'll see a witch at midnight on Oct. 31 if you wear your clothes inside out and walk backwards.